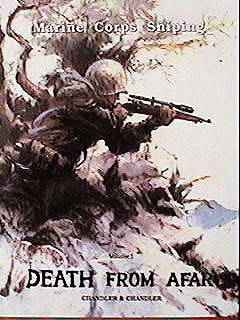 The DFA series of books is the most concise history of USMC sniping that has been published. One of the authors Lt.Col Chandler, USMC(Ret), was incharge of sniper training on the east coast. He has continued his interest in long range precision rifle fire through his participation in the Iron Brigade Armory (IBA) that manufactures sniper rifles that equal or exceed those of the USMC. 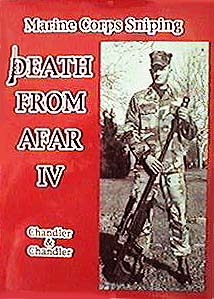 The most recent product of IBA is Volume five of the DFA series. A photo of the cover will be available soon. Return to the Philippine Marines. 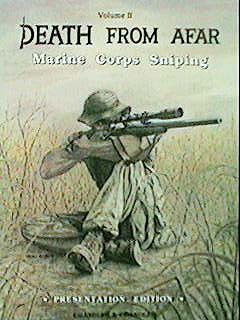 Death From Affar is a series of books documenting the history of sniping in the the United States Marine Corps. There are presently five volumes in the series and one book on the story Gunnery Sargent Carlos Hathcock. 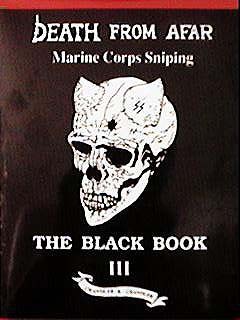 USMC history of sniping books.